The process to become a Google Apps EDU Trainer is fairly straight forward. I think of there being three stages to this process: Using the Training Center, becoming a Qualified Individual, and finally becoming aCertified Trainer. The Training Center is always available and it’s your choice if you want to go through all the stages. The Training Center is available to “teach yourself to become an Apps expert in the classroom.” The great part about the Training Center is that it is broken up into six training modules: Google Apps Education Edition, Apps Mail, Calendar, Docs, Sites, and Other Tools. What does this mean for you? It means that if you are in the Training Center to find out more about Calendar, my favorite, you can. Just go straight to the Calendar Module and become a Calendar expert or look for that one piece of information that you needed. Don’t forget to use the “Search this site” button in the top right hand corner if you are looking for something specific. As a teacher you could use the the training center to become more proficient in the use of Google Apps for your classroom. So if you just want the information, it’s all there waiting for you in the Training Center. If you are interested in testing your new knowledge acquired in the Training Center you can take all six exams. 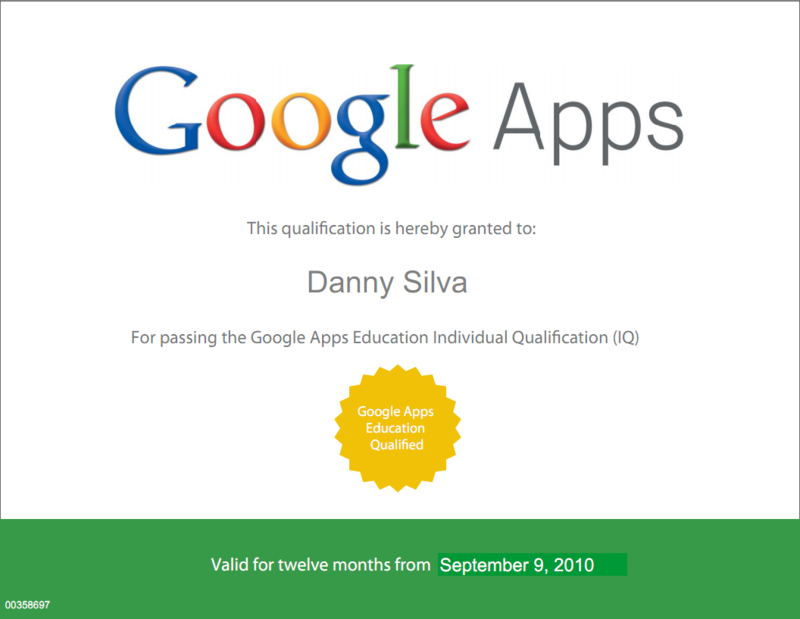 Passing all six exams will give you the honor of being “Google Apps Education Qualified” and earn you a certificate. The exams are $15 dollars each and you will need to pass each exam with a score of 80% or higher. You could give your students the chance to become qualified. I know there are Computer Application courses in high schools that allow students at the end of the course to take tests for certifications for various manufactures of software. Why not let the student take the tests and at $15 dollars per test, it is very reasonable compared to other exams. You’ve passed all six exams and have decided to go for the gusto and become a Certified Trainer. Now what? According to Google, Certified Trainers have extensive experience in teacher training and Apps deployment. So, if this fits who you are and what you do, go for it. Here are the requirements from Google’s Program Details web page. I am very excited, I found out today that my application was accepted to become a Google Certified Trainer. To become a Google Certified Trainer, check out the “Become an Apps Certified Trainer.” There is a great Training Center and then you will take six exams. After passing all six exams, you become a Qualified Individual. The last step to become a Certified Trainer is to fill out an application and produce a two minute video “which demonstrates your ability to create and present instructional material.” (Program Details) Even if you are not interested in taking the tests, I would recommend using the training center to learn a great deal of information about Google Apps. Here is the video that I produced as part of the application process. It is on Google Calendar Labs. Recently, I was lucky enough to be featured on the front page of the local paper, the Merced Sun-Star. It was a great opportunity to be able to share information about attending the Google Teacher Academy in London as a Lead Learner (presenter). I was also able to share how I have been able to include technology in my agriculture courses at Le Grand High School, including Agriculture Earth Science and Agricultural Communications, a ROP course. To my surprise the article has been republished more than once on the internet. It was an editor’s pick for the ASCD Smart Brief and also posted on a blog site sponsored by the National Young Farmer Educational Association (NYFEA) – Agriculture’s Promise. It has been a great way to build my PLN with other Agriculture Teachers from around the country. I would like to thank Nathan Quevedo, Public Information Officer for MCOE for sending out a press release and Jamie Oppenheim for writing a very nice article. Here is the full article from the Merced Sun-Star‘s website. WOW!!! What an incredible six months this has been. 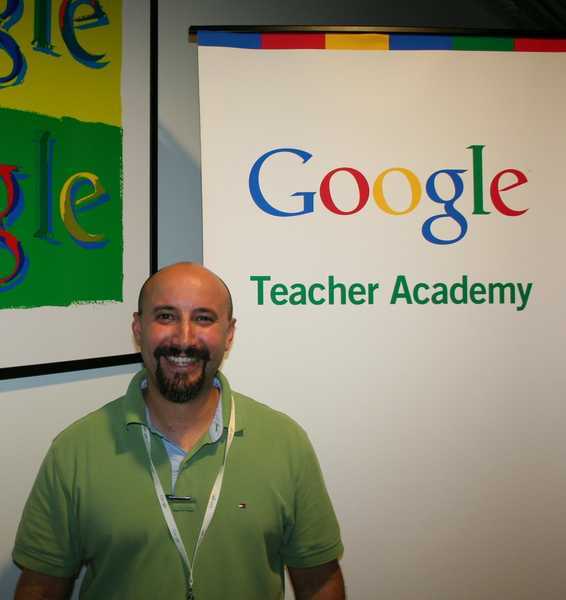 It is hard to believe that it has been only that short of time since I was in Washington D.C. for Google Teacher Academy. I have gained so many friends, opportunities, and experiences from GTA. I have also had the opportunity to share my experiences with others through workshops and presentations. This is by far the most valuable part of the GTA experience. Attending a GTA allows 50 educators to come together to learn a lot (imagine drinking from a firehose), share and compare information and not just about Google but also about education. Part of the experience is also the opportunity to build a very strong network of individuals that are willing to share anything they have with one another and when someone puts out a call for help, there are countless responses; this is the Google Certified Teacher (GCT) community. The community stretches beyond the borders of GCT’s to all their own PLN’s which builds a worldwide network of people that have similar passions: education and technology. I have had several opportunities that have stemmed from GTA. One of which is the chance I had to be one of the Lead Learners at the GTA in San Antonio, TX, the first GTA specifically for administrators. What an honor to be in the company of such outstanding educators for a second time. The title of Lead Learner was certainly appropriate. I think I got almost the same amount of knowledge from this experience as my first GTA. Not to mention the chance to build my PLN with 50 more like-minded people. Part of being a GCT is to go and spread the knowledge you have have gained from attending a GTA, your GTA action plan. This can be done by presenting at workshops or confrences; helping others one-on-one or through inservices; spreading information through papers, blogs and podcasts; or even by making how-to videos or worksheets. Personally, I have been able to do several of these things to fulfill my action plan. First, a colleague from school and I succesfully migrated our entire staff from Microsoft Exchange to Google Apps for Education, including three days of tech training for each staff member, one of which was a complete day on Gmail and another on Google Apps tools. Second, I have presented at several workshops and conferences on using Google tools and technology in education including at the ASCD confrence at the Google Apps booth. Third, I have produced how-to videos and posts that I published to my blog and along with Andrew Schwab (Blog), the Technology Director at our school, produced a podcast series entitled Small School Big Tech. I have to say having the oppurtunity to be part of a GTA has been outstanding and the benefits have not slowed down. I highly recommend applying if you have the opportunity; the benefits far exceed your wildest expectations. In my last post I talked about how to add a Google Calendar Event Button to a website, Google Map, or any other place you can add HTML code. Today, I am going to show you how you can use Google Calendar Event Publisher and Google’s URL shortening service, goo.gl, to add a link to non-digital media. First, what exactly are we talking about doing. 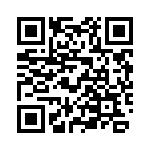 We are going make a poster or flyer for an event and add a QR code (bar code) to it. This will allow someone with a smart phone to scan the QR code and automatically add that event to their Google Calendar. Step 3: If you have not done so click on “Create button HTML” at the bottom. Look for the ﻿<a href=” at the beginning of the HTML code. Select everything between the quotes (make sure you are between the correct quotes) and copy it. Step 4: Go to this website http://gaigalas.net/lab/googl Take the web address that you just copied from the HTML code and paste it into the URL field. That will produce a URL shortcode and a QR code. Final Step: Right click on the QR code (the funny bar code looking thing) and save the image. Now you can add it to your event flyer or poster. (be sure not to expand the image to large so that it will not become fuzzy or pixelated). Now anyone with the a cell phone or device capable of scanning that code will be able to add the event to their personal Google Calendar. Or If you have any questions please leave it in the comments so I can respond. 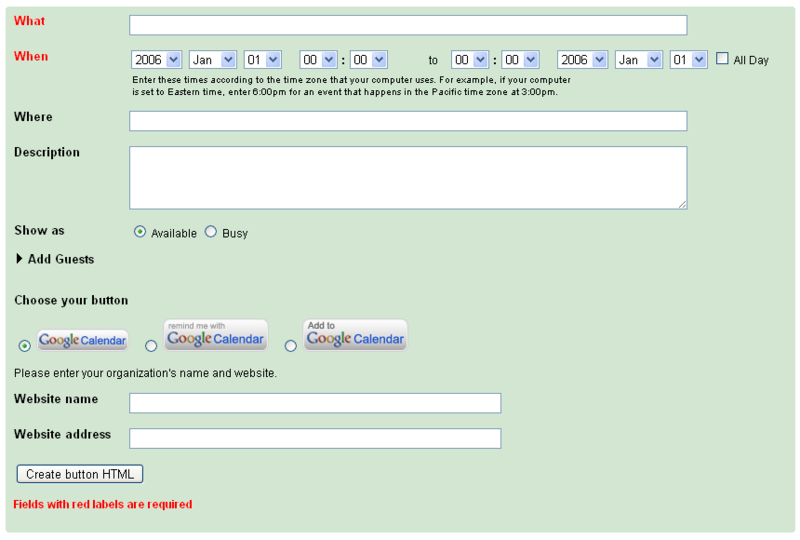 There are actually two tools on this page; the individual event publisher and an entire calendar publisher. 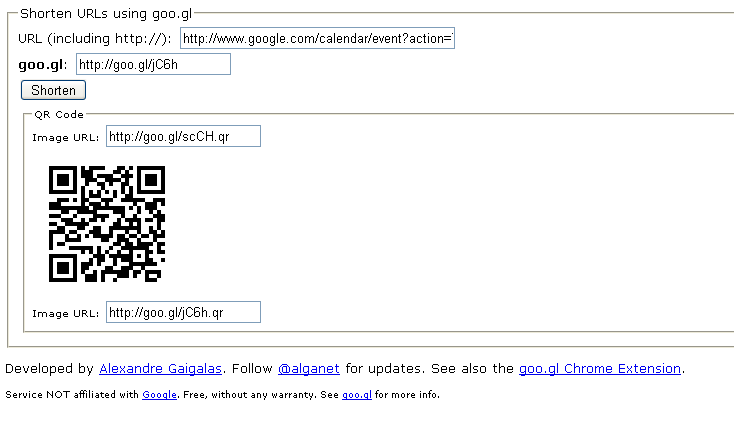 Both of these tools allow you to create a “Google Calendar” button for an event or an entire calendar. First off these buttons provide a link to an event that you might be promoting or maybe a calendar that you might want people to be able to subscribe to. But what to do with these buttons. After you insert your information and hit “Create button HTML” you can then use the simple HTML code that is supplied to post an event or an entire calendar to your website. When people click on the button they will launch a Google Calendar window and are asked if they would like to add the event/calendar to their Google Calendar. 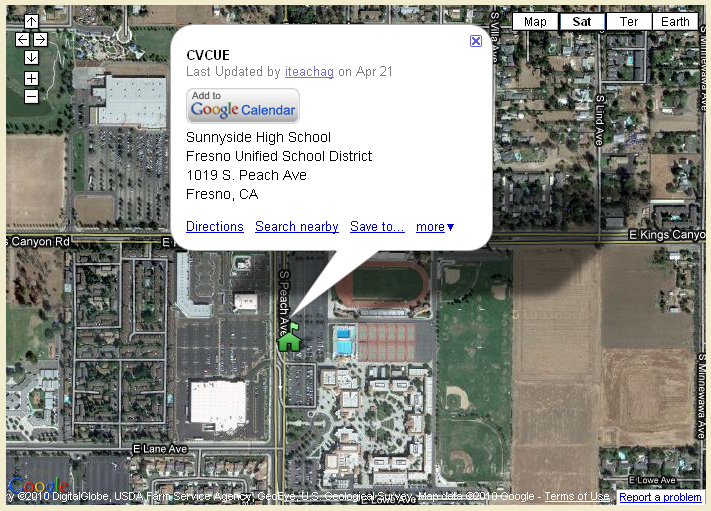 You can add this button to almost anywhere you can insert HTML code including a Google Map. Now someone can add the event to their calendar from Google Maps. Update: I’ve made it. I have been accepeted to go to the Google Teacher Academy in Washington D.C.